Diyala Abdlrasul is MENACatalyst’s communications manager, part-time storyteller, diaspora scout and entrepreneur talent spotter. Since her time at MENACatalyst she has been working to build a global ‘Palestinian Diaspora Entrepreneur Network’. To date, Diyala has established diaspora chapters in the US and UAE and is working on expanding the network even further. Diyala was born and raised in the US and moved to Palestine in her early teens. 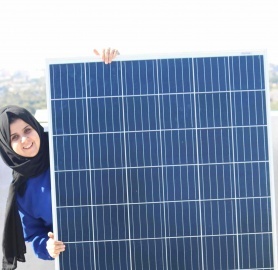 Through her experiences on the ground in the West Bank, Diyala has grown a passion for policy and development. 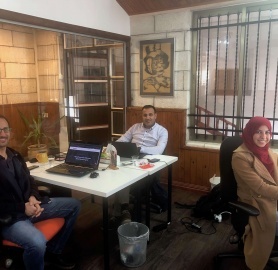 With previous experience working in the field of public policy under the Palestinian government, she recently decided to try her go in the field of entrepreneurship. Diyala has a Master of Science in Public Policy from the University of Bristol in the United Kingdom, and Bachelor of Arts in Marketing. For more information, or to connect, please contact Diyala@menacatalyst.org.